In 1910, miners working deep underground at the Naica mine in Northern Mexico broke through the rock into an otherworldly place: a previously sealed-off cave like something out of science fiction. Inside, beautiful metre-high clear crystals glistened in their lantern light; a sparkling, surreal world some 120 metres below the surface. But that was just the beginning. Over the years, the mine continued to serve up silver, zinc and lead as workers carried out the perilous task of tunnelling deeper and deeper down. By April 2000, one branch reached 290 metres below the surface and two miners, brothers Eloy and Javier Delgado, broke through into another, much larger cavern. Inside, they discovered massive crystals the size of trees jutting out at every angle, and dotting the ground and ceiling like supersized frost and icicles. It may look cold, but temperatures inside the acidic ‘Cueva de los Cristales’ remain around 58°C while the humidity ranges from 90 to 99 percent: conditions that make it hazardous to stay inside too long. At first, the company that owns the mine kept the cave quiet, but selected researchers and photographers have since been allowed in to study the mineral formations and geology of the cave system. Visits are limited to about ten minutes, with one explorer describing the vibe as being “like entering a blast furnace”. The giant crystals are composed of selenite, a translucent type of gypsum named after Selene, the Greek goddess of the moon. They formed when the caves at Naica, which sit above a volcanic magma chamber, filled with hot, sulphur-rich water from below and cold, oxygenated water seeping down from above. Over time, the sulphur reacted with the calcium in the limestone to form a crystal-growing soup which slowly cooled in these unique conditions. 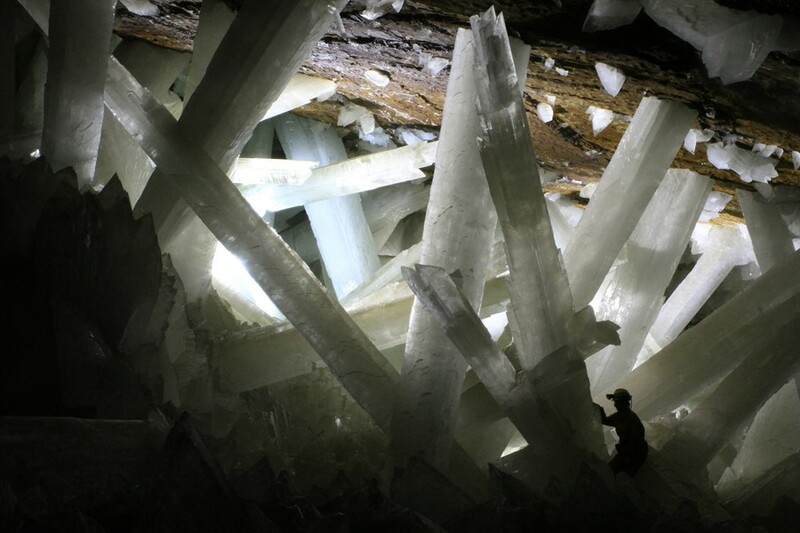 The result are the largest known crystals on Earth – the biggest of which is 11 metres long and weighs about 55 tons. 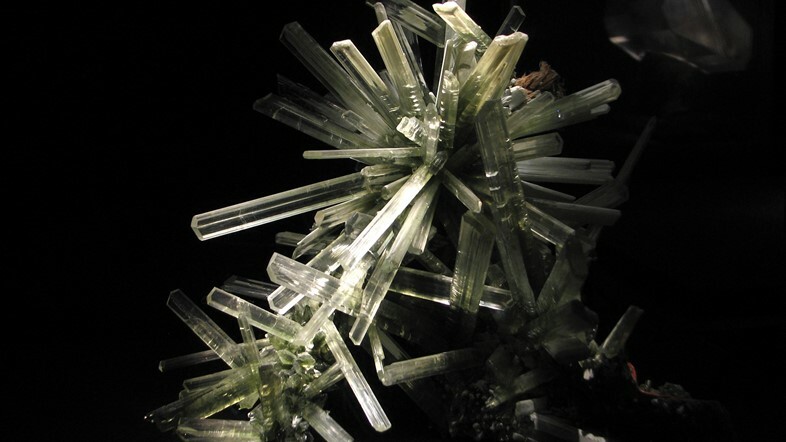 At the recent annual meeting of the American Association for the Advancement of Science, an astrobiology researcher from NASA announced that her team had found long-dormant microbes living inside the crystals and re-animated them. By studying ancient life forms in extreme places like Naica, Dr Penelope Boston and her colleagues hope to learn more about how life might form on other bodies in the solar system – and beyond. Visiting before was very hard, but for now it’s impossible. Following heavy flooding, operations at the mine were suspended in October 2015. This might help to preserve the crystals, which had shown signs of decomposition from being exposed to air. In time, it should be possible to re-drain the cave system and open the caves to the public – perhaps as a new UNESCO World Heritage Site in the future.